If you want to work in the UK, then you need to know about the five-tier system that allows immigrants into the country. This is not applicable for European Economic Area (EEA). Immigration of UK has a point-based system to determine whether you qualify for a visa or not. This visa is granted to investors, entrepreneurs, and if you are endorsed in your field of expertise (exceptional talent). This category exclusively targets the cream of the crop. There are 5 subcategories – Entrepreneur, Graduate Entrepreneur, Exceptional Talent, General, and Investor. ‘Skilled workers’ who have a job offer in the UK can apply under this tier. The job offer could be from a UK employer, overseas employer with a British branch, within your religious community or sports endorsee. The subcategories are General, Intra-company Transfer, Ministry of Religion, Sports and Priority Service. This category was primarily designed for unskilled workers to fill temporary labor shortages in specific domains. Till today, the Government has not allocated any visas under this scheme. They might do so in the future. If you are a student and you wish to pursue higher education in the UK can apply for it. When you have the acceptance letter from a registered education institution in the UK, you are eligible for Tier 4 Visa. You have the Short-term Study Visa if you are going to consider a short course and General Visa for a full-fledged course. 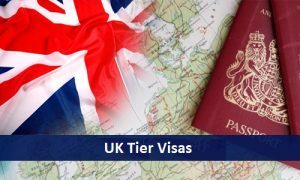 If you or your child is between the age of 4 and 17 and wants to study in the UK, then you can apply for Tier 4 (Child) Visa. Temporary worker – youth mobility scheme allows you to work for two years if you are between 18 and 30 yrs of age. We hope this information helps you. For more details, please visit our website opulentuz.com or visit one of our centers.